The Internet Pinball Machine Database — also known as the IPDB — is a comprehensive, searchable encyclopedia of virtually every pinball machine ever commercially made. Online history of Ditchburn Equipment Ltd of Lytham St Anne’s, Lancashire, one of the first manufacturers of Jukeboxes in the UK. Long established jukebox shop specializing in the importation and in-house restoration of vintage jukeboxes. 14 High Street, Lye, West Midlands, DY9 8JT. Archive of the now defunct Pinball Owners Association British magazines, Pinball Player & Pinball Wizard. Lively pinball community packed with information and pictures including an active forum. Mostly pinball but also other vintage coin-operated machines. Resource-rich with information, pictures, repair guides etc. Dutch slot machine trading site. Dedicated to the all Australian designed and made Musicola Jukebox. 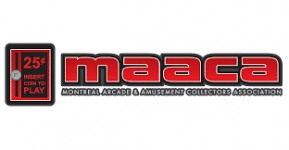 French site showing many classic vintage European amusement machines and their mechanisms. Danish coin-op collector blog explores various vintage machines and describes the restoration process. Home Leisure Direct, an award winning games room retailer based just outside the center of Bristol. With market leading prices HLD offers a diverse range of products such as pool tables, arcade machines, pinball machines, table tennis, football tables, jukeboxes, air hockey, shuffleboard and finally memorabilia which are vital in creating that ultimate games room experience. Home Leisure are experts in assisting your decision providing you with all you need to know before you make a purchase, with their very own games room designer software & buying advice your in very good hands if you're looking to introduce a new games table into your life. Beautifully crafted Allwin reproduction penny machines. Retro-Arcade machines are made in UK with care and deference to the specifications and proportions of the original 1900's machines. There are many retro designs on offer with the facility to make a game to your own design or add your name or logo. With gallery, forum, restoration tips and information about bingo pinball machines. History of Max Jentzsch & Meerz company with reference to other pre-war German manufacturers. The Coin Operated Machine Information Site. Dedicated to all slot machines as seen in British Penny Arcades, Piers etc. pre decimalisation. Free Registration for updates ....... don't annoy the old boy with the chain of keys around his neck! Chronicling all the machines made by this Weston-Super-Mare based company between 1964 to 1981. Virtual pinball from all periods available to play for free.